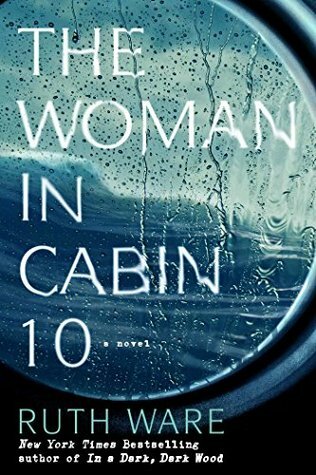 The Woman in Cabin 10 by Ruth Ware is a thriller set aboard a luxury cruise ship. Being one that loves cruising this has been on my list to read since I first heard about the book for two reasons, one I’ve heard great things about the writer and two I can’t help but be drawn to a story set at sea. The main character in the story, Lo Blacklock, is at home alone when someone breaks into her apartment leaving her in fear that it could happen again or that they will return. Lo is offered the chance to go on the cruise through her job as a travel writer and thinks getting away is just what she needed. Boarding the yacht Lo sees this as the opportunity of a lifetime, a week of pure luxury with only a handful of cabins and a few other passengers. However, one night at sea Lo witnesses something from the cabin next door and thinks she saw someone go overboard. The security and crew however can’t find anyone missing and don’t take Lo seriously. The first thing I noticed picking this one up is that people are perfectly right, Ruth Ware is a talented writer as it didn’t take long at all to become immersed in the story. However, with this story I did find a couple of things that I didn’t absolutely love. One being that I found myself really doubting even a smaller yacht wouldn’t have security cameras to monitor outside safety so the mysterious someone overboard should be something answered quickly. But even overlooking that fact there’s few suspects aboard too so it wasn’t hard to start figuring things out. In the end I’d give this one 3.5 stars but would definitely pick up another title from this author. Ruth Ware is an international number one bestseller. Her thrillers In a Dark, Dark Wood, The Woman in Cabin 10, The Lying Game and The Death of Mrs Westaway have appeared on bestseller lists around the world, including the Sunday Times and New York Times, and she is published in more than 40 languages. She lives on the south coast of England, with her family. Nice review Carrie. You are right on, the writing was great, but the story did not live up to its hype for me. I did enjoy it, but not as much as I had anticipated.